The Right Reverend Sarah Mullally has been named as the first female Bishop of London, becoming the most senior woman bishop appointed by the Church of England. She takes over the role from Dr Richard Chartres, who retired in February. Legislation to allow women bishops was formally adopted by the Church in 2014. The Church consecrated its first female bishop in 2015 when the Rt Revd Libby Lane was made Bishop of Stockport. 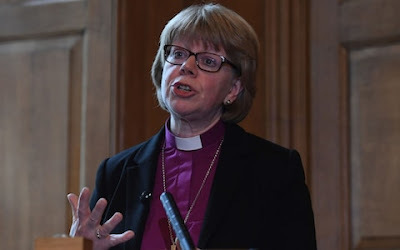 Bishop Sarah, 55, - who was made a dame in 2005 for services to nursing - will be the third woman to run a diocese, and will take a seat in the House of Lords. She said: "Having lived and worked in London for over 32 years, the thought of returning here is about returning home.